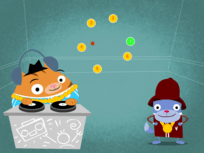 Bring forth the rhythm and the rhyme! 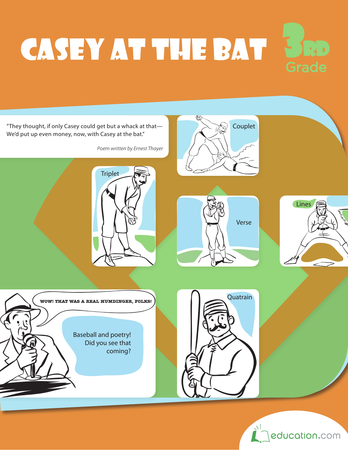 Find out more about the role of rhythm in poetry with this worksheet that uses "Casey at the Bat" for practice. Dissect a few choice stanzas from the poem and clap along to the beat as you learn how rhythm in poetry can change a poem's mood and message. 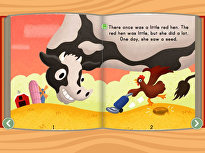 The short E sound, found in words such as leg, lemon and pen, is one of the most common vowel sounds in the English language, and one that first graders will often find in the texts they are learning to read. This lesson provides guided practice with the short E sound through targeted instruction and helpful examples. Check out our short E worksheets at the end of the lesson. The short E sound, found in words such as leg, lemon and pen, is one of the most common vowel sounds in the English language, and one that first graders will often find in the texts they are learning to read. This haiku worksheet gives your budding poet practice with counting syllables and noticing the role of rhythm in poetry. You only get something out of it if you put something in! 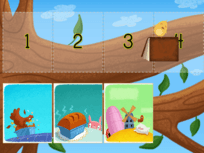 Have your child try five-part challenge, with the final goal being memorizing a poem word for word. 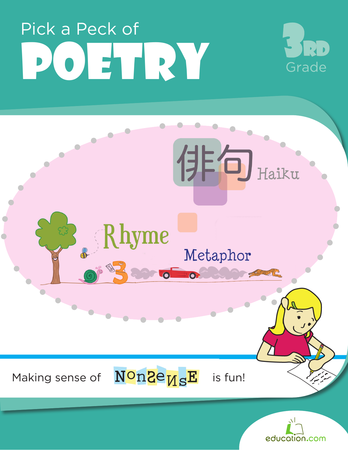 Haiku poetry is great for capturing the idea of nature, and this worksheet helps your young poet make the connection.